The locals worry the place would serve as a hideout for bad elements. NEW DELHI: Residents of North Delhi’s Civil Lines are protesting against a state-run hospital for illegally encroaching government land. 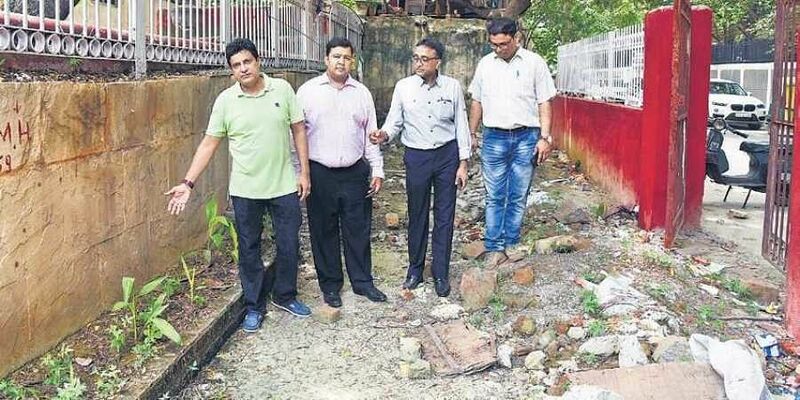 Locals from Ram Kishore Road, Shankaracharya Marg and Ram Chander Lane — residing close to the Sushrut Trauma Center — claim that the hospital has constructed an illegal boundary wall on the Shankaracharya Marg. The wall will cause congestion in the narrow lane during day time as it has a school right opposite. The locals worry the place would serve as a hideout for bad elements.“We did not expect this kind of an attitude from a hospital. It is a clear encroachment of the road. The wall built around the hospital will cause grave congestion in the narrow lane. At night, the place would serve as a hideout for bad elements, we need the government to look into the matter,” said Ashish Rohatgi vice-president of the RWA. Residents of the area have approached the Public Works Department (PWD), Delhi Police and the North Municipal Corporation of Delhi but there has been no response from the authorities.“We have written to the SC Monitoring Committee, the North MCD and have met the police but the response was zero. All of them just shift the blame to other agencies. “We wanted to set up a small space for senior citizens in the area with benches and so we had planted plants here. Now, the construction materials have been put on them, damaging them,” said Leena Jhalani resident of the area. She claimed that her mother-in-law was attacked by a homeless person near the area where the wall has come up.